The Official Chart will move to Fridays from 10 July - after 28 years broadcasting on a Sunday - to tie in with the new global music release day. The Official Chart with Greg James will kick off the weekend at 16:00 BST every Friday on BBC Radio 1, as part of his drivetime show. The move coincides with the music industry's launch of New Music Fridays in more than 45 countries. All albums and singles will now be released globally at 00:01 on a Friday. Currently albums and singles are released on different days around the world - for example, albums such as Madonna's Rebel Heart were released on Monday in the UK, Tuesday in the US and on Friday in Germany and Australia. As well as the charts, record companies, artists, distributors and retailers have been working together to align with the new international release day. According to research for the BPI (British Phonographic Industry), which represents the British music industry, 60% of consumers who buy or stream new music (who expressed a preference), prefer it to come out on a Saturday or Friday. The most popular reasons include it being "the weekend" (36%), when they have "time to listen to new music" (26%) or time to go shopping or look online. "In a business that is increasingly digital and global, the logic for a global release day is compelling," said Geoff Taylor, chief executive of BPI. "Fans don't understand why they have to wait to legally access music that has already been released in other countries." Official Charts Company chief executive, Martin Talbot, said the move to Fridays "ushers in a new era" for the chart, which has been going out on Sunday afternoon since it moved from Tuesdays in October 1987. "Every Friday night will be party night for all the artists and their UK fans celebrating their latest chart position. It is going to be a fantastic new beginning," said Talbot. As well as Radio 1, MTV UK will also move its TV coverage of the charts to a Friday, while the complete albums and singles top 100 will be published on the Official Charts website at 18:00 BST every Friday. The first Friday chart, on 10 July, will be a five-day chart, following on from the final Sunday afternoon chart on 5 July. 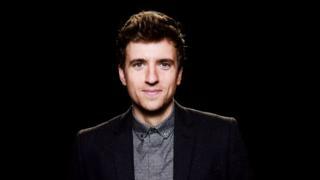 The current Sunday chart show attracts around 1.2 million listeners, while Greg James' show attracts more than five million across the week. The Official Chart Show with Clara Amfo will continue every Sunday until 5 July, from 16:00-19:00 BST on BBC Radio 1. The Official Chart with Greg James takes over at 16:00 BST every Friday from 10 July.